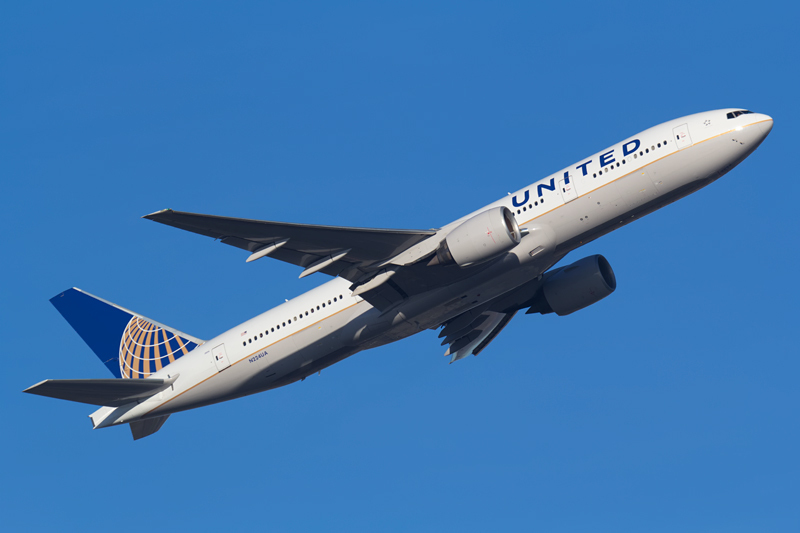 CHICAGO - United will retrofit 19 Boeing 777-200 of its fleet into a high-density cabin layout for domestic flights. A 10-abreast Ecomony seating will increase capacity by 20 to 364 seats, United confirmed to "USA Today". According to the report the retrofit will start in May for nine aircraft already assigned to United`s Hawaii-flights. Ten Boeing 777 will join the domestic network from international operations later on after receiving the new interiors. United mirrors a broader industry trend as even premium airlines like Swiss opt for 10-abreast seating in 777 rear cabins. Their rationale is rather obvious: more seats translate to more revenue and lower costs per seat. Chicago insists that going dense in Economy will not be the only change applied to the domestic 777s. United will install WiFi, an updated IFE, power outlets and personal device holders. The 28 business class seats will convert into flat beds after the update, according to the carrier.